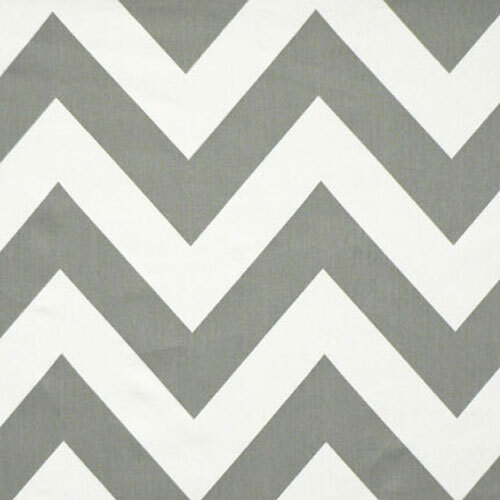 Gray and white zig zag stripes. Large scale print. Suitable for drapery, decorative pillow covers, headboards, crafting or light upholstery. 100% Cotton Twill 5.2 oz.